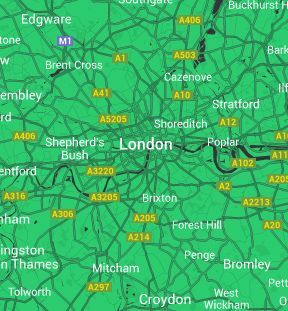 The environment in which trees in a London garden have to live is somewhat different from their original habitat. A branch that falls in a forest represents a part of the ecosystem, whereas in your garden it can be inconvenient at best. In a garden, every tree forms part of an overall scheme – you’ll often need to keep then restricted in size, and you’ll always want to maintain an attractive appearance. 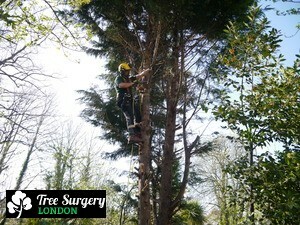 Call Tree Surgery London for top quality care and tree pruning at affordable prices. We can shred the waste upon request so that the clients may use it as mulch later. Ensure that the trees in your garden do the work you need them to. Your trees should form the structure of your overall planting schemes, but never overpower other elements within it. 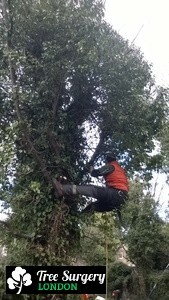 Remove dead or ill diseased material – saves an ill tree and in many cases its surrounding plants. Just pick up the phone and dial 020 3404 3305. Our lines are staffed 24/7 so you can be sure of a prompt response from our office-based staff. Ask questions if you have them or arrange for your free, no-obligation quote. Use this number to book tree pruning or any of our other London services. When you’d rather we called you, go to our contact form, fill in the few details you’ll be asked for, and indicate when you’d like us to call.